Convert any text to speech with iSpeech - Adding New Sites Every Day ! 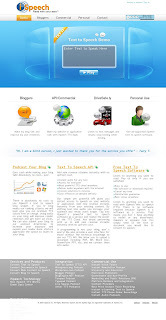 iSpeech converts any text on the Web into clear natural sounding audio free. Take your reading on the go with iSpeech text to speech.